It would seem these posts are becoming a rather frequent and naughty habit of mine... Up until now I had never really considered myself as much of a 'shoe' kind of girl, but when a pair of shoes are this pretty it's almost impossible to say no. 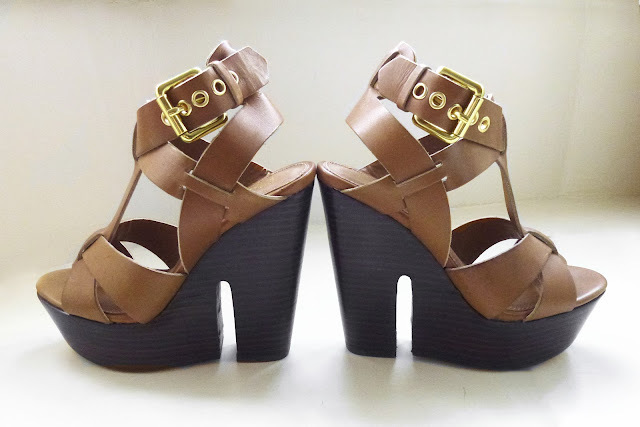 The latest addition to my collection; Topshop Libertine T-Bar Strap Platforms. With a beautiful tan leather finish, feminine T-bar strap and decorative buckle, these chunky platforms will see me through summer perfectly. I like T-bar Shoes fashion because it is so growing.